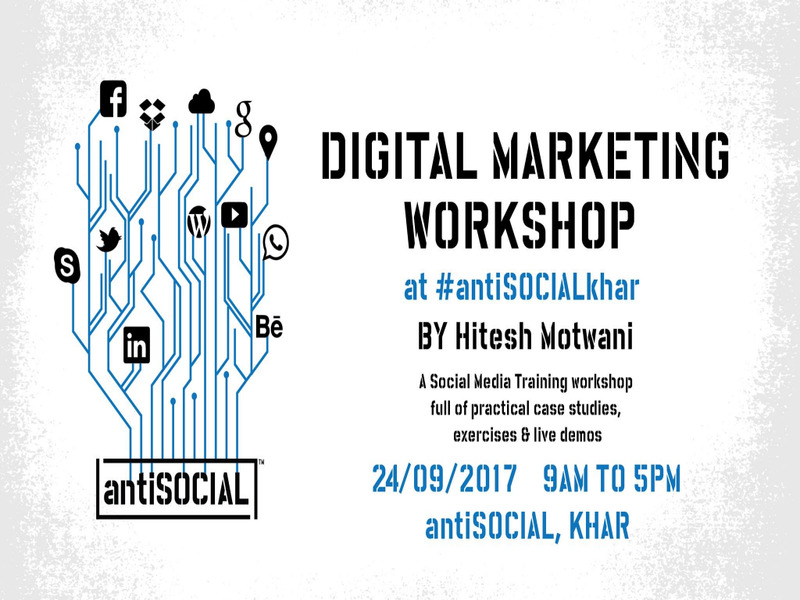 A workshop with Hitesh Motwani will help all budding marketers to understand all the nitty-gritties of Digital Marketing. If you've ever been curious about what the big bad world of marketing is all about, this workshop is for you. Understanding Digital Landscape for Start-ups. How to use Facebook to generate business leads. Finding the right target customers through demographic targeting on Social platforms. How to effectively run campaigns with existing leads and targeting them with compelling content using Facebook. What kind of content works on various platforms? How to use Twitter to market your brand & connect with prospective customers. Using Twitter to get consumer insights by using FREE Third party tools. How to guide your agency to manage social media campaign for your brand. Interesting innovations in Social media and case studies. Hitesh Motwani is a Digital Marketing Expert with over a decade of experience in the industry. He has worked with firms such as Ogilvy, Rediffusion Y&R, Genesis Burson-Marsteller. Hitesh has also visited as guest faculty at IIM Bangalore, NMIMS, SPJIMR, Symbiosis Center for Media and Communications. He has trained over 10,000+ participants including students, CEOs, and CMOs. He has conducted Corporate workshops at Ogilvy & Mather, RPG Group, CNBC TV 18, Kanakia Group, ICFAI.